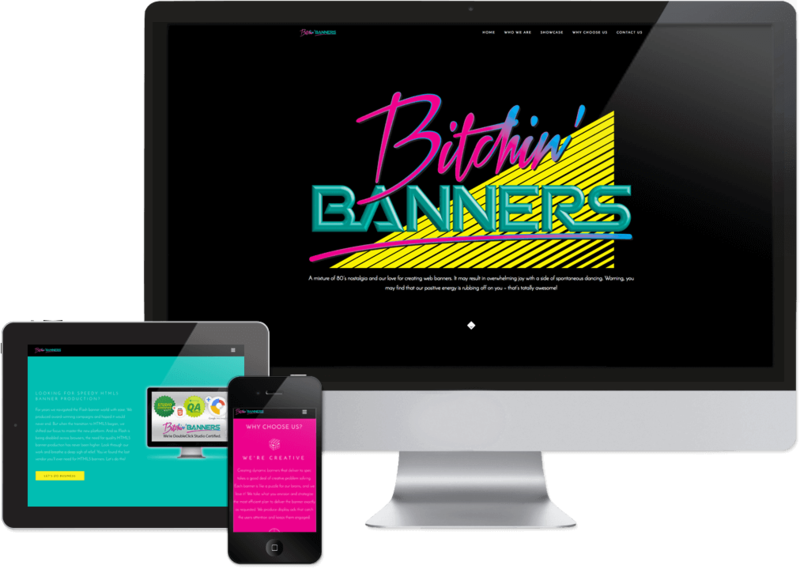 Bitchin’ Banners was created to streamline production of web banner projects for large agencies. This site is all banners, all the time. Our team has produced thousands of banners through the years, now showcased in one totally rad package. Each study showcases unique strategies & skills to help us deliver the final, approved ad. Not all banners are created equal. Our unique brand of banner magic helps us assemble these miniature animated puzzles.